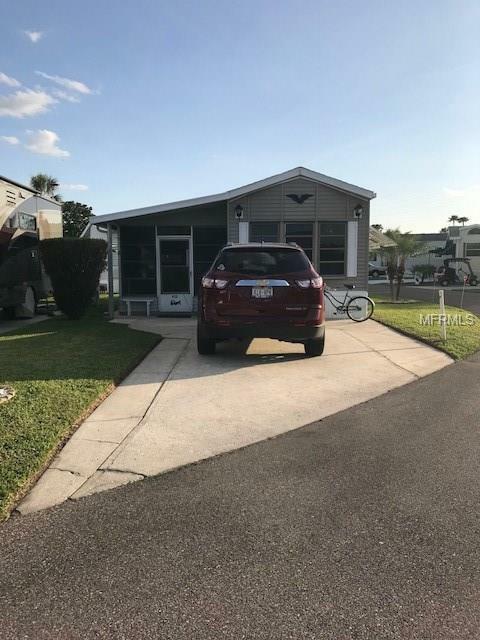 Nice 1 bed/1 bath with a 10 X 26 Florida room located on a lovely corner, pie shaped lot, located in a 55+ active golfing community!! This is nicely maintained home with a newer roof replaced in 2014. Open floor concept with a nice Florida room to enjoy the Florida weather. Fully furnished with washer/dryer, linens, cookware, dishware, silverware and more!! Enjoy this communitys 9 hole short par 3 chip and putt golf course, as well as miniature golf, 2 tennis/pickleball courts, shuffleboard, horseshoes, fishing & boating on Lake Davenport, 2 heated pools, plus community functions at the clubhouse and more!! This property is located in a desirable area of ORO called "the island because it only has 5 joining properties! !